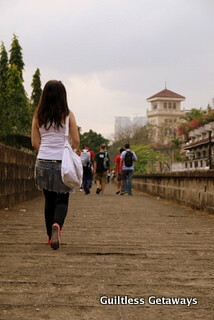 I can't believe I circled and walked the streets and walls of Old Manila for 2 hours straight! 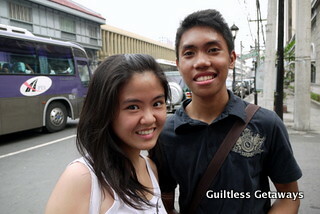 This day marks the first day of fellow blogger Journeying James' IsangDaan Backpacking in the Philippines. We spent the half day with him along with a few new friends exploring the past, the Intramuros that I've only heard about in my history classes. 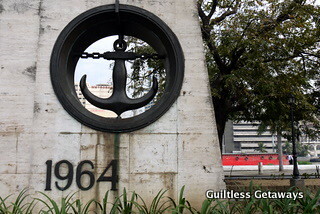 This is a list of the most Interesting Places in Old Manila today. 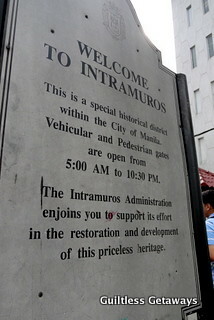 I would like to take you back in time, when Intramuros was the Manila of today. Everything else outside the walls was considered a province. 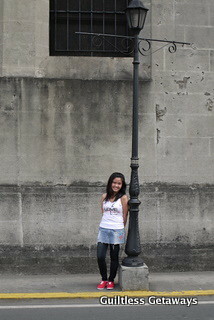 According to our friendly guide Ivan the Batang Lakwatsero, the cross at the Manila Cathedral was the original Km. 0 during the Spanish colonization. and the Old Ayuntamiento (city hall today, under renovation). On another note, Mr. Journeying James only brought his essentials, around 7-kilo backpack, for his 100-Day Journey all over the country. He even cut his long hair to save on shampoo and gel to get more value out of his P500 a day budget! We walked along the old University of Sto. Tomas site. 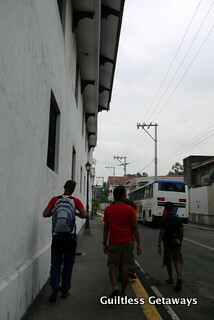 Across the street was Colegio de Sta. 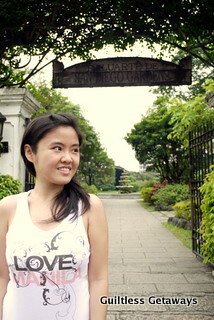 Rosa, one of the two remaining original colleges in Intramuros, the other one being Letran. 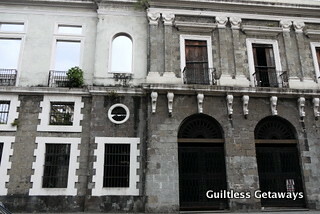 The Aduana was known as the old Customs House. 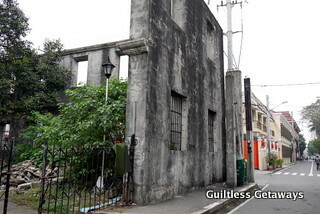 Just behind the old customs building was the old docking area (Pasig River at the back) where trading goods were inspected. 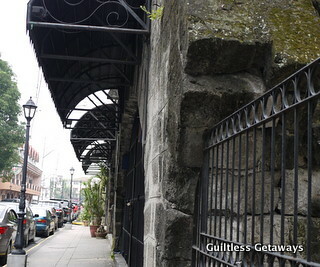 Most of the structures in Intramuros had been damaged by earthquakes, fires, Japanese bombs or American artillery. This is what remains of the Aduana today. 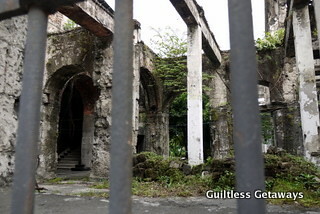 Only the San Agustin Church was spared during World War 2 because it had a red cross (wounded people were brought there during the war). 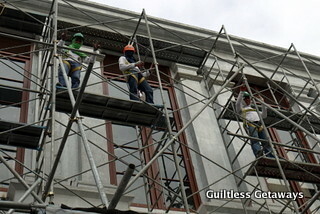 There are restoration and preservation efforts today inside the Walls led by the Intramuros administration. I saw these shops that closed down. 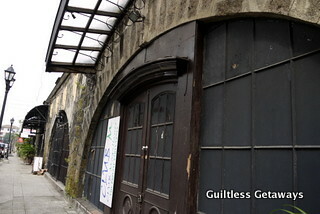 I hope they can turn these into art cafes or small museums or tapas bars or panaderias (just a suggestion). I would love to just sit here and spend the afternoon inside the walls after a nice walk away from the cars. 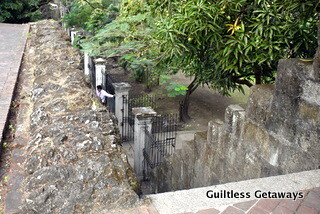 Near here was a staircase, leading up the wall walking paths (closed to public by 7 p.m. according to Ivan). 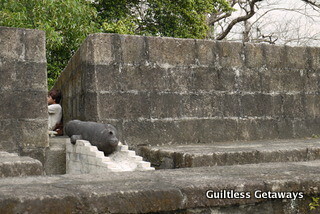 Only the guardia sibil were allowed to roam these walls before. 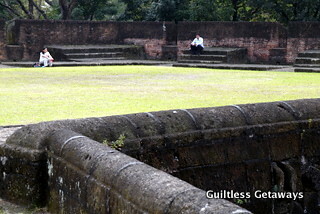 Today, there's a "Lovers' Lane"
and the Baluarte de San Francisco de Dilao has been transformed into a quiet hangout place. 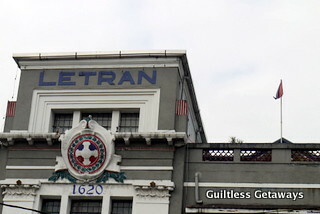 You can see the Colegio de San Juan de Letran still standing tall (1620) from the wall. This part of the wall was heavily fortified. Enemies of Spain are just a cannon ball away at this bulwark. On the other side of the wall today is a garden. 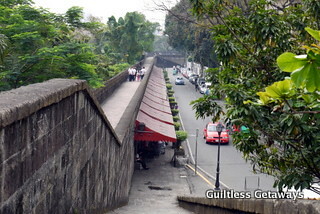 Walk further along the wall and you'll see Manila Bulletin. 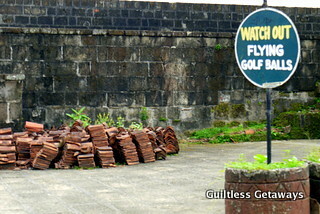 Be careful of flying golf balls from the Intramuros Golf Club too and go down from this side of the wall. 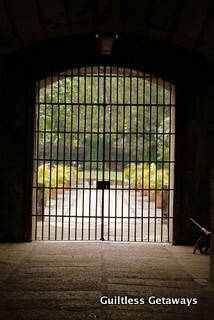 You will come across the gate where the former Spanish governors passed. 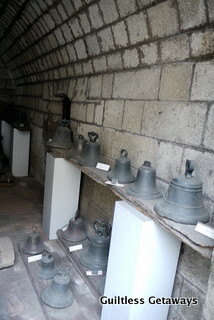 Just walk straight following the walls and you'll see a few windows with relics such as these old bells in Intramuros. 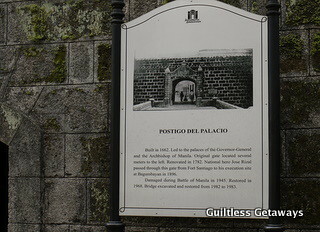 We came across the Baluarte de San Diego Gardens but we weren't into spending anything for this tour. We kept walking past the Beaterio de la Compania de Jesus, a former motherhouse for the first Filipino congregation of religious women. 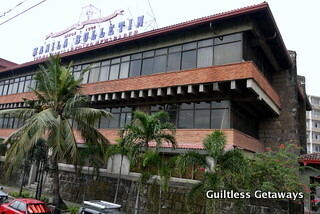 Today, it has been reconstructed as the Bagumbayan Light and Sound Museum which focuses on Dr. Jose Rizal's heroism. 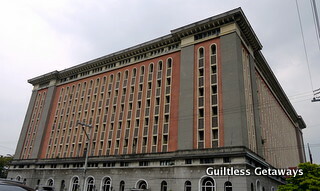 Beside it stood the old Philippine Military Academy site before it moved to Baguio. Go up the stairs back to the wall for a full view. You'll also find No. 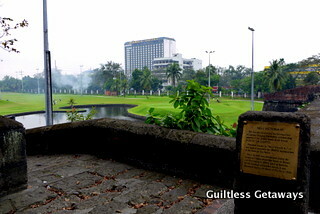 1 Victoria Street with a view of the Intramuros Golf Course which was a moat converted during the American colonization. Our tour was almost coming to an end. 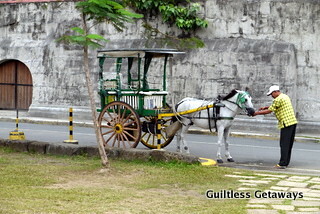 You can find kalesa rides with driver tour guides if you don't want to walk around Intramuros and if you're willing to spend some tourist money. 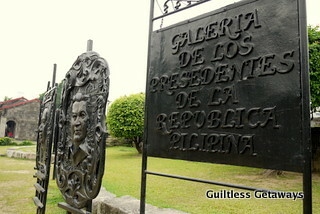 We stopped for a while at a public gallery of past Philippine presidents, the Galeria de los Presidentes de la Republica Pilipina. Here, James reminisced about the Wow Philippines campaign I've never heard about, the beauty pageants that were held near here every weekend a few years back. He also said that there were trade shows before per region that showcased products from all over the Philippines. 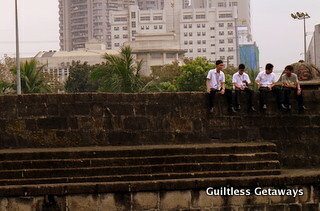 I wonder when they will bring back the crowd here in Intramuros. 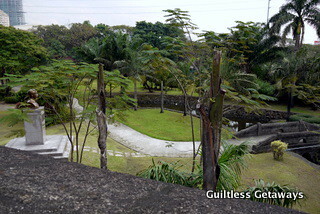 I think an evening under the stars here or an event would be so wonderful. 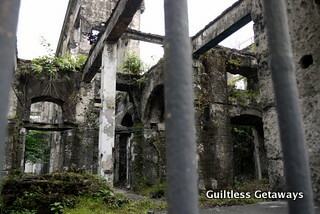 Our tour ended at Postigo del Palacio where the great Dr. Jose Rizal headed to his execution in Bagumbayan. 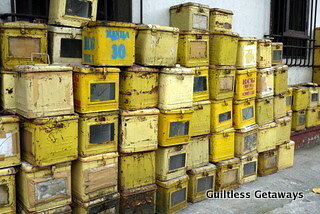 I was back to the present when I saw the yellow Comelec ballot boxes sitting in a corner. We headed back to Manila Cathedral and dropped by the Intramuros skate park near General Luna to look at the Graffiti Wall and those passionate about skateboarding with their moves. James told us that artists change the graffiti every month. 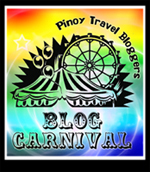 This is my fourth contribution to the Pinoy Travel Bloggers Blog Carnival. 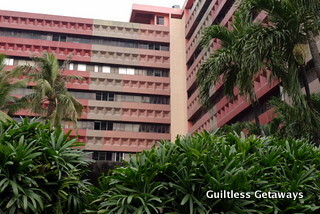 Glenn (of Traveler on Foot) is currently compiling other Pinoy bloggers' walking tours this month. My first ever contribution to the Pinoy Travel Bloggers Blog Carnival was a 3D2N and 4D3N itinerary to El Nido, Palawan. 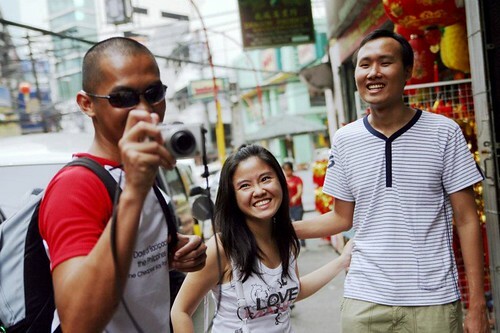 Click here for other 3D2N Suggestions for destinations all over the Philippines from Eileen (of Possibly Pinay). 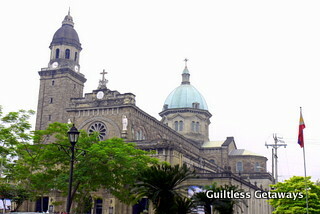 My second contribution to the Pinoy Travel Bloggers Blog Carnival was an 11D10N itinerary to Seoul, Korea. Guiltless Getaways is in Reiza's (of Wander If You Must) compilation of Leap of Faith: When Traveling Changed My Life stories from Travel Bloggers all over the Philippines. My third contribution to the Pinoy Travel Bloggers Blog Carnival was a dream itinerary to Barcelona and my pledge to turn it into reality. Click here for other ultimate dream destinations and travel wish lists from other Pinoy travel bloggers as compiled by Robx (of The Travelling Dork). I'm glad that you enjoyed the tour :) see you when I see you. cheers to more travels! happy tours ivan! i wish you all the best in your new career =) u revived my love for stories and history with this tour. thank you! yup! i wanna go back. one thing i got from this tour was that the company matters too =) i had such a wonderful time hearing stories from ivan and getting inspiration from james' way of traveling. 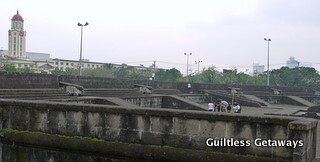 this intramuros trip is still in my mind too =) i'm glad i waited this long to visit intramuros for the first time =) thanks for the memories! Very nice historical places. 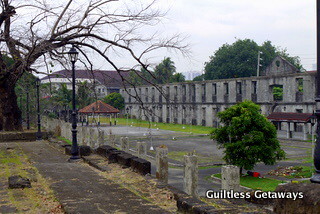 Intramuros is really old but still durable structure. Wow! ang ganda talaga ng Maynila. Pagdating sa mga historical scenes. Sana ma visit ko rin lahat ng mga magagandang lugar na to. May perfect places din ang Pilipinas for camping at isa na dyan ang lake sebu. Maganda dun :) Thank you for sharing.